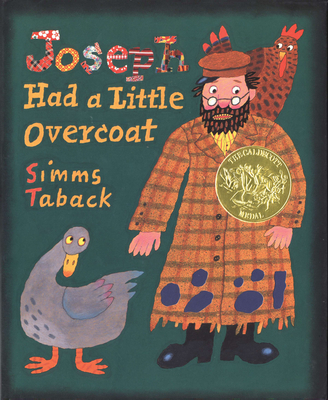 Joseph had a little overcoat, but it was full of holesjust like this book! When Joseph's coat got too old and shabby, he made it into a jacket. But what did he make it into after that? And after that? Simms Taback grew up in the Bronx and graduated from Cooper Union. He has worked as an art director and a graphic designer, and has taught at the School of Visual Arts and Syracause University. He has illustrated many children's books, including I Know an Old Lady Who Swallowed a Fly (Viking), Spacy Riddles, Snakey Riddles, Buggy Riddles, and Fishy Riddles (all written by Katy Hall and lIsa Eisenberg, Dial).His work has won many awards, including the Caldecott Honor Award Medal for I Know an Old Lady Who Swallowed a Fly and a New York Times Best Illustrated Children's Book.A father of three and grandfather of three, Mr. Taback lives with his wife in Willow, New Yorkcopyright ? 2000 by Penguin Putnam Books for Young Readers. All rights reserved.